Bye Aerospace founder George Bye tells us about his electric and solar aircraft projects, including the electric Sun Flyer training aircraft, the StratoAirNet, the Silent Falcon UAV, the TriFan 600, the Mars SOLESA, and the Starlight UAV. In the news, we look at the WC-130H crash in Georgia, breaking airplane windows, and companies developing supersonic transports. Also, an installment from student pilot Nicki, the history of Soviet airliners from Will, Tom Larkin’s mini-jet, the Mercury 13 documentary, the centennial of U.S. airmail service, and lip syncing while flying. The Sun Flyer electric aircraft prototype. Courtesy Bye Aerospace. Sun Flyer electric training aircraft. StratoAirNet family of solar-electric UAVs for medium and high altitude missions. Silent Falcon UAV using stored electric power and thin film solar photovoltaics. TriFan 600 hybrid-electric VTOL business aircraft in partnership with XTI Aircraft Company. Mars SOLESA, a solar electric survey aircraft for Mars. Starlight lighter than air solar electric UAV under a U.S. Navy contract. George is an ATP rated pilot with over 4,000 flying hours. He was a USAF instructor pilot in the Northrop T-38 Talon at Sheppard AFB (ENJJPT), a C-141B Aircraft Commander, and he is a Desert Storm veteran. Find Bye Aerospace on the web at ByeAerospace.com, on Facebook, and on Twitter at @ByeAerospaceInc. George has a personal webpage at GeorgeBye.com and he’s also on Facebook. 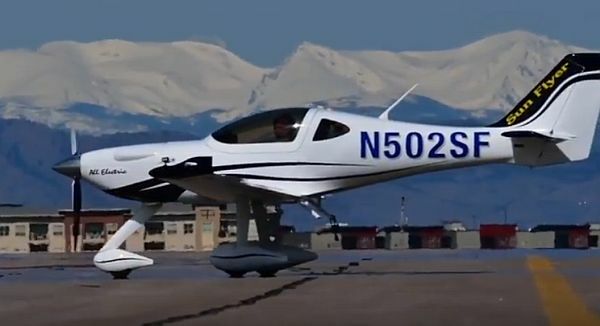 Test pilot, John Penney took the Bye Aerospace all-electric Sun Flyer proof of concept aircraft on its first test flight April 10, 2018, at Centennial Airport in Englewood, Colorado. 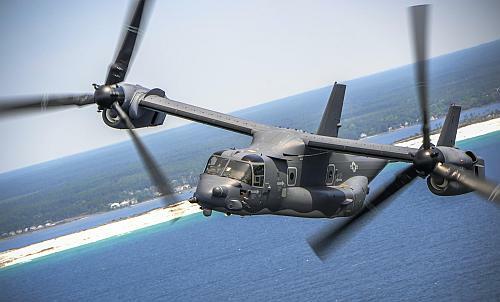 The Puerto Rico Air National Guard unit lost nine airmen in the crash of a WC-130H Hercules cargo plane in Georgia, just after takeoff. 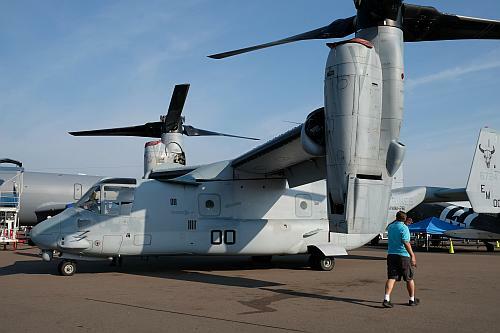 The plane was on its final flight, to an air base in Arizona. A short video from the private memorial ceremony honoring the fallen crew was released. A JetBlue flight from San Juan, Puerto Rico, to Tampa, Florida, was diverted to Fort Lauderdale after damage to the plane’s windscreen. A Southwest Airlines flight from Chicago to Newark, New Jersey, made an unplanned landing after a window cracked. A Southwest B737 experienced an uncontained engine failure which threw debris into a passenger window. Boom Supersonic is developing the 55-seat, XB-1 with delivery planned for 2023. Spike Aerospace is developing the 18-seat S-512 jet, delivery in 2023. Aerion Supersonic is working on the 12-seat AS2 jet for 2025 delivery. Lockheed-Martin under NASA contract is planning a low boom experimental aircraft for late 2021. Young listener Will presents his project on the history of Soviet airliners. 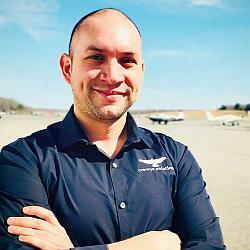 Airplane Geeks Reporter-at-Large Launchpad Marzari speaks with Tom Larkin from Mini-Jet Airshows. Mercury 13 documentary on Netflix. Smithsonian’s National Postal Museum and the College Park Aviation Museum. The May 1, 2018 issue of the FlyerTalk email newsletter. This entry was posted in Episodes and tagged accident, Bye Aerospace, C-130, jetBlue, Southwest, supersonic, XTI Aircraft on May 9, 2018 by maxflight.